High On Fire will release its new studio album "De Vermis Mysteriis" on April 3rd via eOne Music. Recorded in Salem, Massachusetts' GodCity Studios with producer and Converge guitarist Kurt Ballou, the 10 song effort is the band's sixth studio recording and the follow up to 2010's "Snakes for the Divine." "De Vermis Mysteriis" (or Mysteries of the Worm) takes its title from a fictional grimoire created by Psycho author Robert Bloch and incorporated by H. P. Lovecraft into the Lore of the Cthulhu Mythos. Check out the tracklisting below. 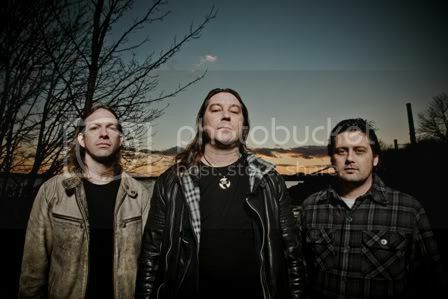 Also after the jump is a series of concert dates that High On Fire will embark on. 0 Comments on "High On Fire Reveals Album Details"